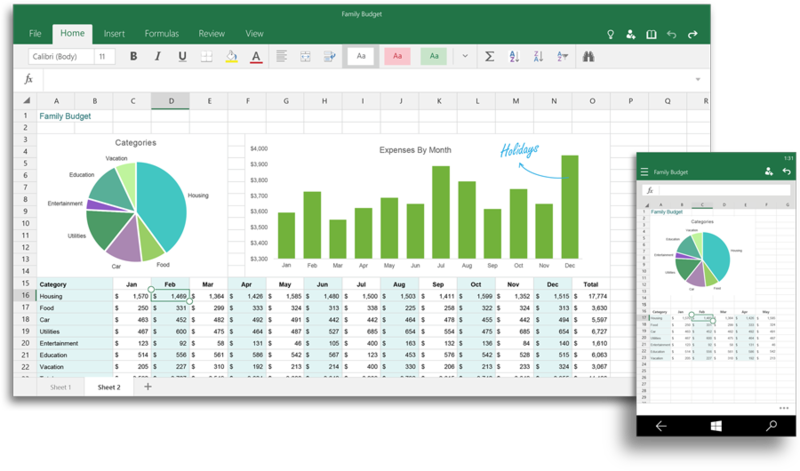 After describing the next version of Windows on Wednesday, Microsoft on Thursday unveiled the next versions of Office: Office for Windows 10, and the standalone Office 2016 desktop suite. Microsoft said that the Office for Windows 10 apps, like their counterparts on iOS and Android, would be free to use (and preinstalled) on Windows 10 phones and small tablets—no Office 365 subscription required, apparently. And more importantly, they’ll be available as part of the Technical Previews of Windows 10 that Microsoft is publishing “in the coming weeks,” the company said. 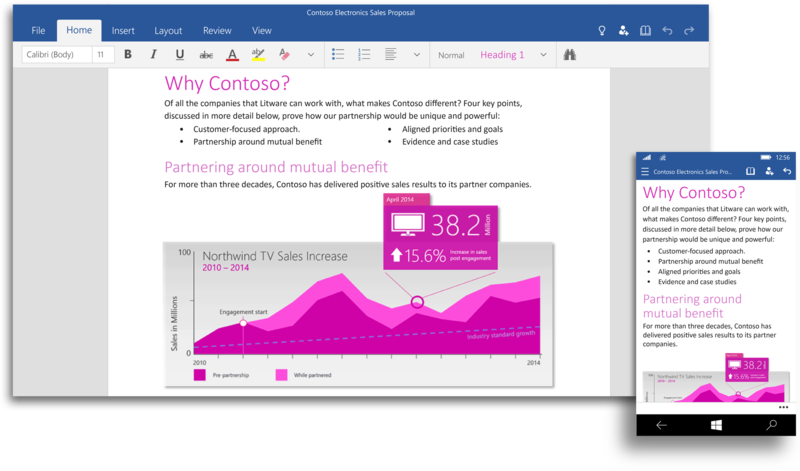 Office 2016 will be likely designed for businesses and cost extra, but Microsoft isn’t saying how much. The desktop productivity suite will ship in the second half of this year—yes, 2015, despite the Office 2016 name. When Microsoft executives demonstrated Windows 10 for phones at the Wednesday event, they referred to Word as “universal” Word. Julia White, the general manager of Office, also used that terminology in a blog post describing the new apps. And indeed, they look much the same as the superlative Office for iPad Microsoft launched last year. Why this matters: It’s time for Windows devices to receive the same Office love as the Android and iOS platforms. 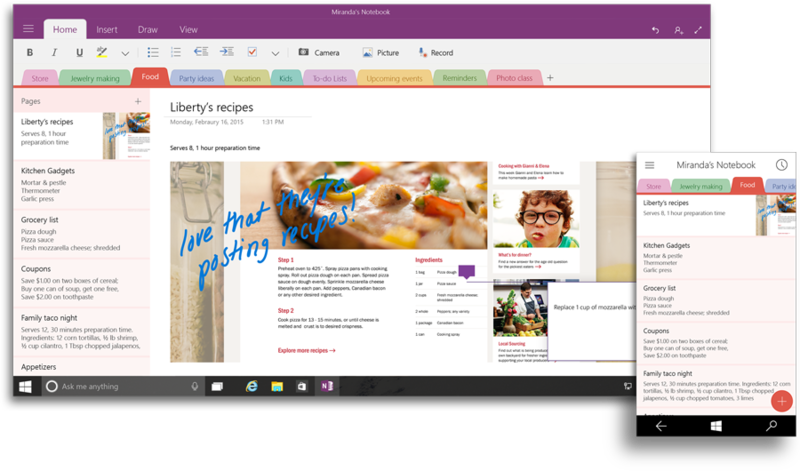 One of my questions at this point, however, is how the new apps will be tied (if at all) to Office 365. 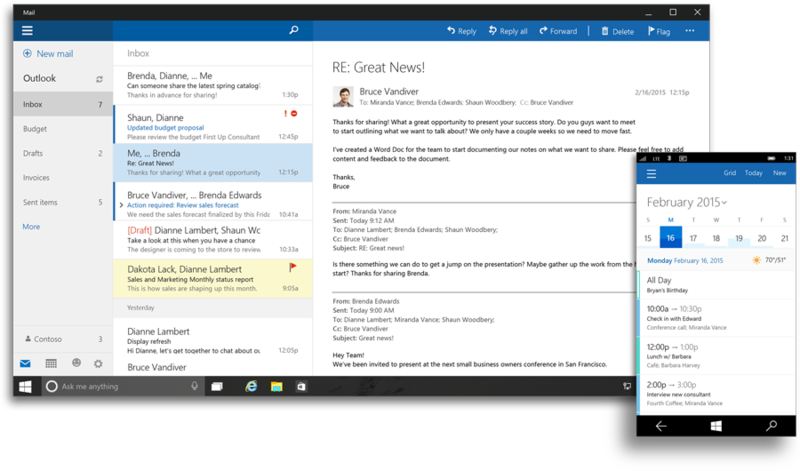 Will O365 strictly be a desktop play? The new Windows 10 apps do appear to be slightly different than their counterparts on other platforms, however. In his presentation, for example, Joe Belfiore showed off how the Office “ribbon” is essentially a separate pane at the bottom of a phone. 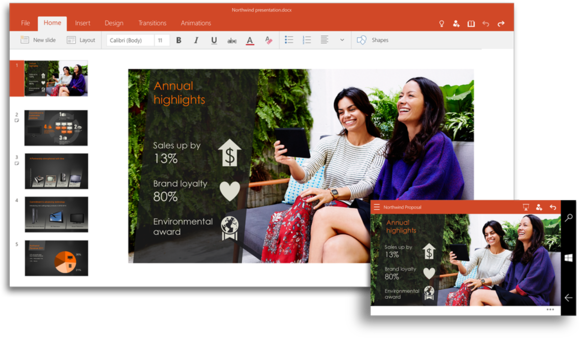 Here’s how Microsoft describes each of the new touch-enabled Office for Windows 10 apps. You’ll notice that in each image, the text and images expand or contract to fill the available space on the phone or tablet. Microsoft calls this “flow”. In many ways, the core apps on a tablet look very similar to the Office apps on the iPad. One note on OneNote: The Metro version of OneNote lacks the “recording” capability, which the desktop version includes. That’s a handy way to type notes in a meeting and record it at the same time—and the audio is keyed to your notes, and vice versa. The last bit refers to the swiping gestures that Microsoft showed off at the Windows Phone presentation. As for Office 2016 proper, it looks like Microsoft is saving those details for another time. Can we all leave Redmond now, Microsoft, or are there other surprises in store?